Some of the best hostels in Los Angeles will not only have the lowest rates but will also have choice locations right near the heart of downtown Los Angeles. Hostels can be a great option for the international traveler, especially those on a budget. These facilities not only tend to be ideal for those who want to get out and explore the city, but they can also help international travelers who need information about where to find important services such as immigration in case issues such as these arise during their stay. MoonPad is one of the most popular hostels in the city and located very close to the center of Los Angeles. It is also unique in that it combines a philosophy of communal living with a theme of space travel as the name suggests. Not surprisingly, this hostel was created as a haven for artists in order to give them a nurturing atmosphere. However, it also has some very low rates and lots of amenities that a traveler on a budget may need including laundry facilities and free Wi-Fi and Internet access. Those who do not mind staying a bit further outside the center of Los Angeles may enjoy the Banana Bungalow. Not only does this establishment offer some of the useful amenities guests may need including a gym and bikes for hire, but it is also in a great location where one can take shuttles to enjoy many of the most popular tourists attractions in the city including Disneyland, Six Flags Magic Mountain, Universal Studio, Sea World and many other local night clubs and shopping establishments. Those looking for a location right between Los Angeles and Hollywood may want to look into Duo Housing. This is also a communal living space and works as alternative housing for those who are in the city for an extended period of time. Duo Housing is also ideal for anyone looking to meet new people and enjoy their living space with an outdoor terrace and common room as well as available activities such as board games, book exchange, cable TV and Wii. These are only a few of the options for those looking for hostels in Los Angeles. While it is very important to have some fun in the world famous city, it is also just as important to find a location that has access to services for international travelers. 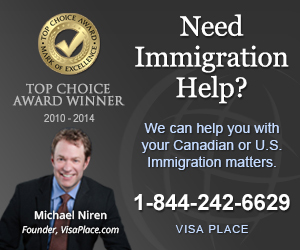 A problem with immigration may be unexpected, but it is possible, so it helps to know where to go for help if needed. Of course, having living accommodations that take care of any traveler’s needs is also a good way to find the right hostel.